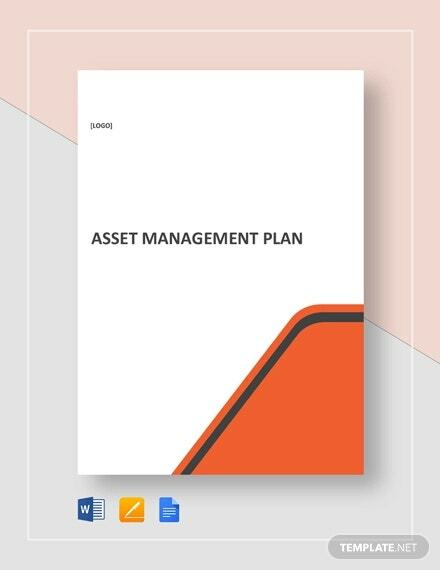 A management plan is a strategic plan for managing an organization’s infrastructure and other properties to deliver a service that is being agreed on. This is mostly used in a business or company setting where proper planning for management process and other related platforms are being assessed. 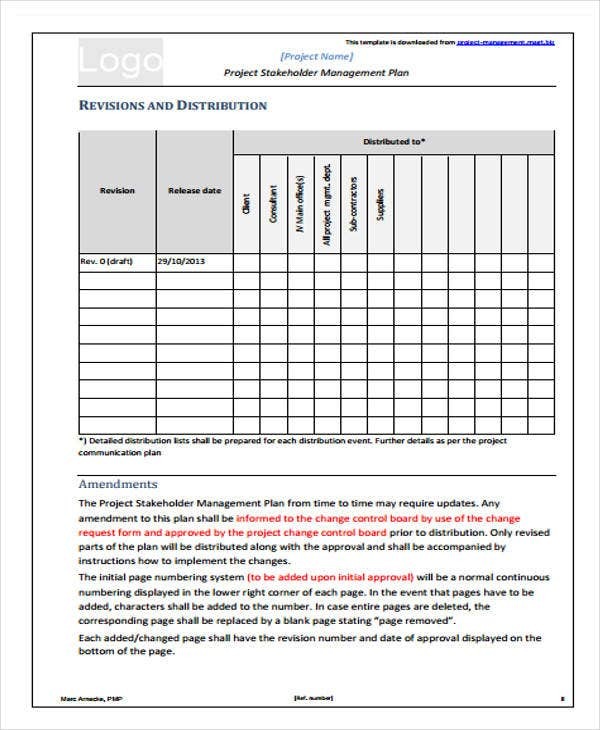 In terms of managing various related plans or projects with the intention of improving an organization’s performance, a management plan template is valuable. 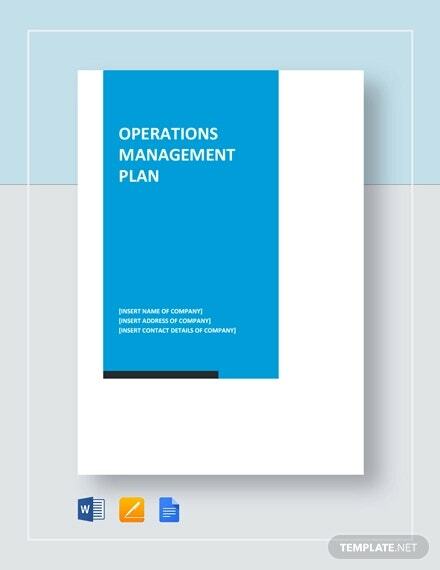 Now, when it comes to management plan making, it is of high importance that the plan should be precise, realistic, and systematic. Creating it can be challenging too, especially to those who are not familiar with the process. 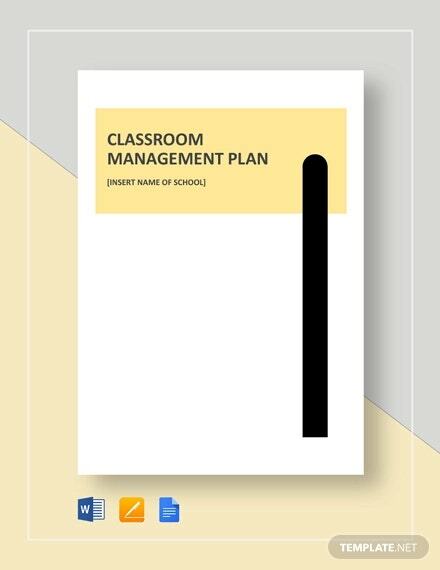 For that, we’ve created a ready-made management plan templates that you can use as a reference or you can directly use them. With just a little bit of modification, you will have your management plan in no time! 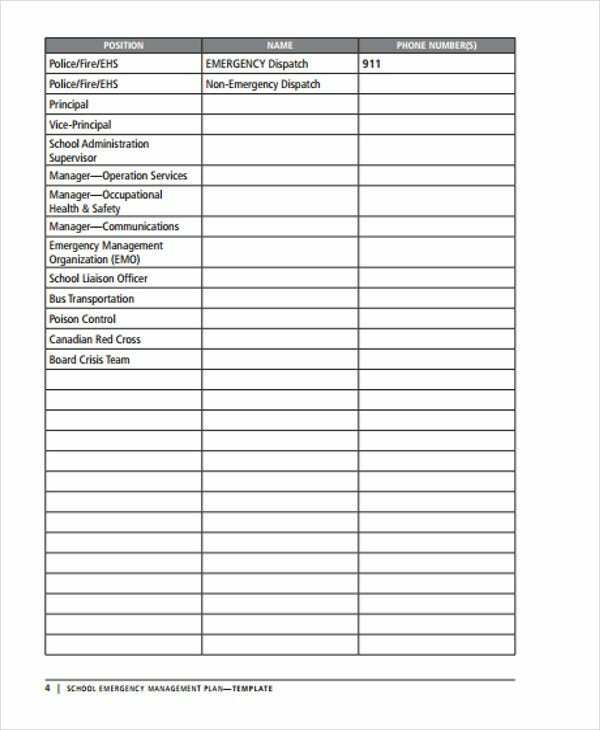 There are several management plans that are being utilized in certain settings and each has their own designated role depending on how they are being used. 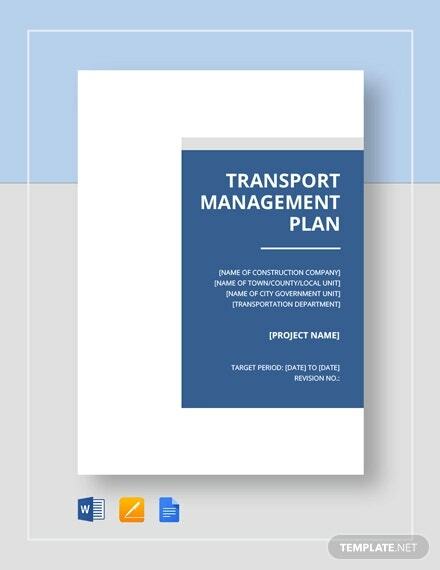 This is a type of plan or document that a project manager prepares to anticipate risks, evaluate impacts, and determine proper resolutions to problems. 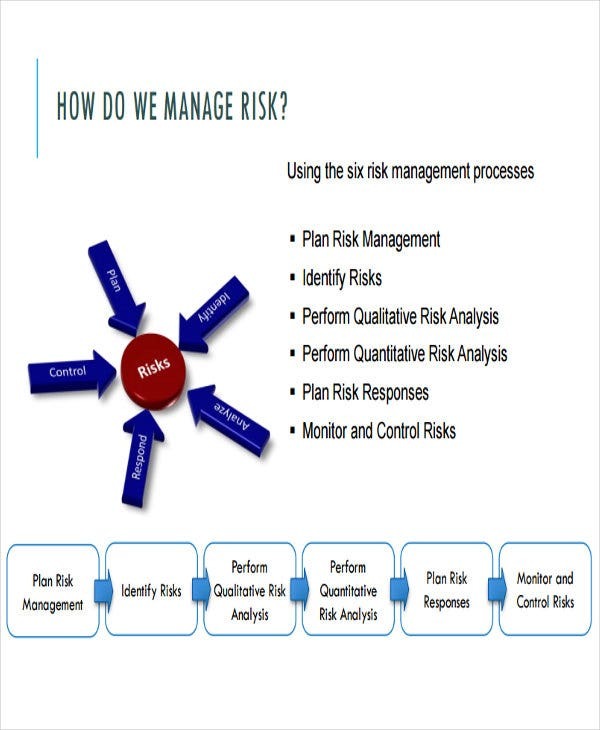 A risk management plan contains an analysis of risks with both low and high repercussion, and mitigation methods, the purpose of this is to help the project avoid being hindered in case there are common issues that will arise. 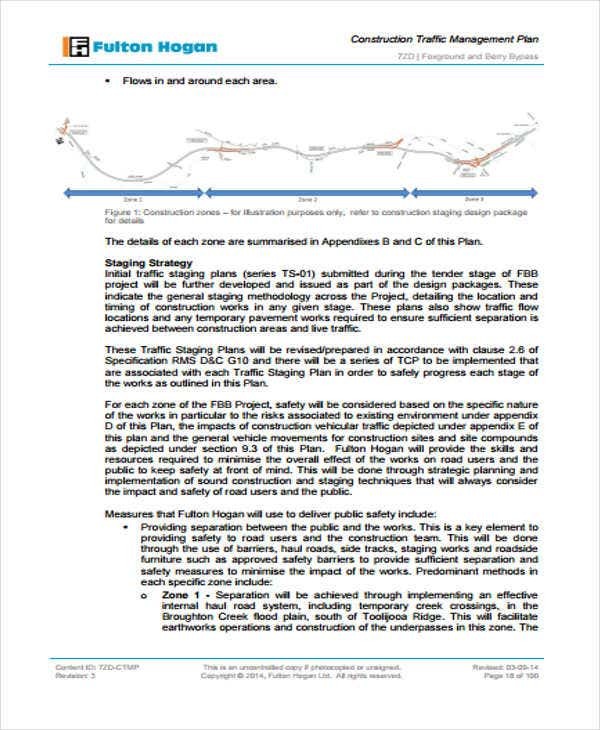 This type of plan should be regularly checked by the project team to prevent the analysis from becoming stagnant and not realistic of any prospective project. 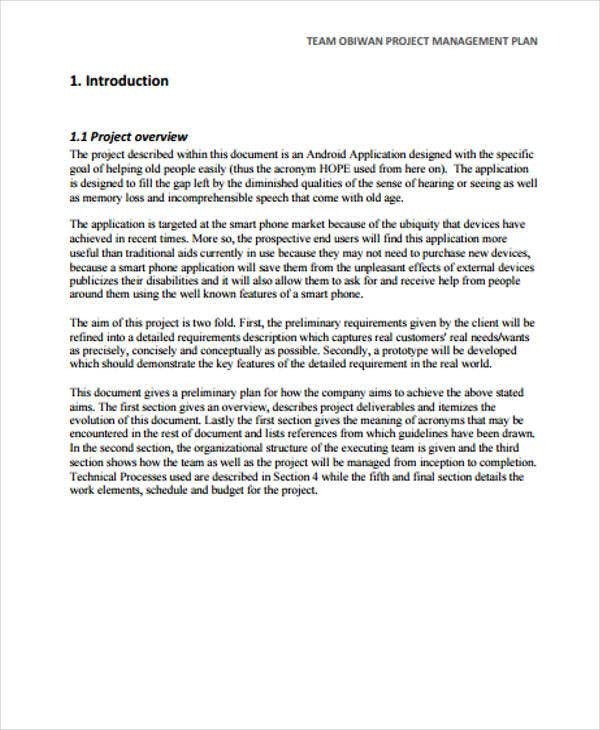 It is a formal approved document that explains how the project is performed and controlled. 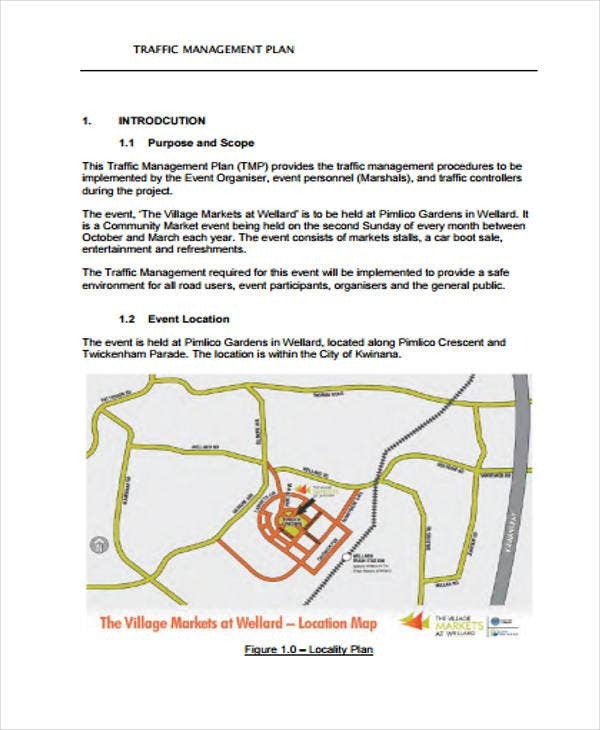 It may be a summary or may be an overview of the subsidiary management plans and other planning documents. 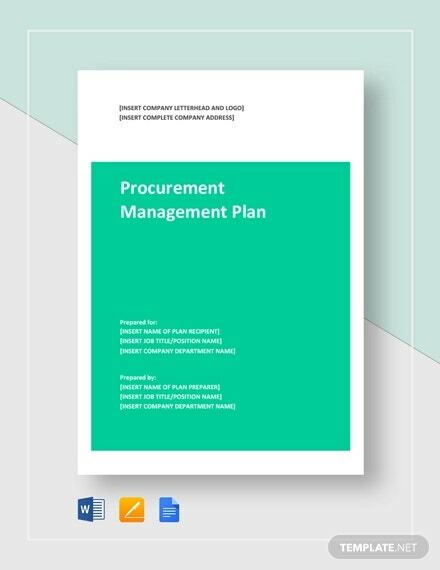 A project management plan is also used to define the approach that is being utilized by the project organization to deliver the designated project management scope, particularly of the project. 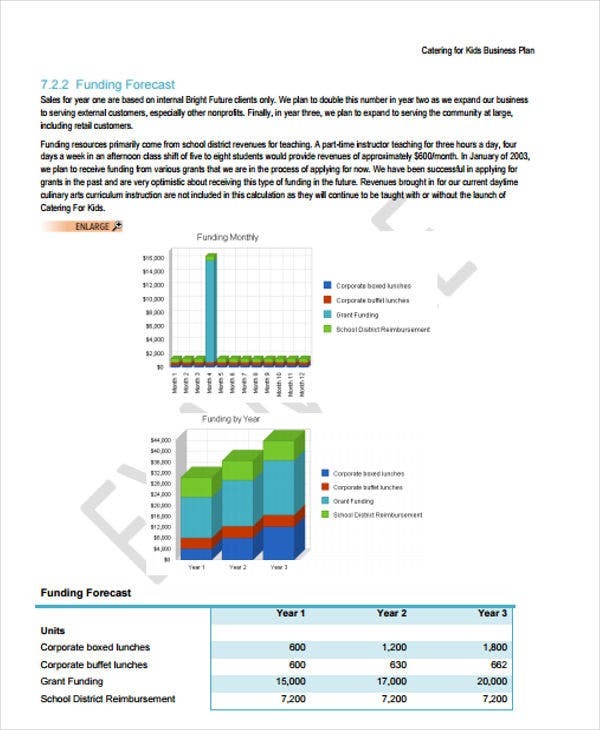 It helps create the project management plan and follows inputs from the project team and the shareholders. This type of plan explains the level of quality that is acceptable by customers and describes how the project will assure the level of quality in its work process. Quality management activities ensures that the product is created to meet the agreed standards and requirements. Work processes are executed regularly and as documented. Those who didn’t follow the process which has been found are referred and appropriate corrective action is taken. 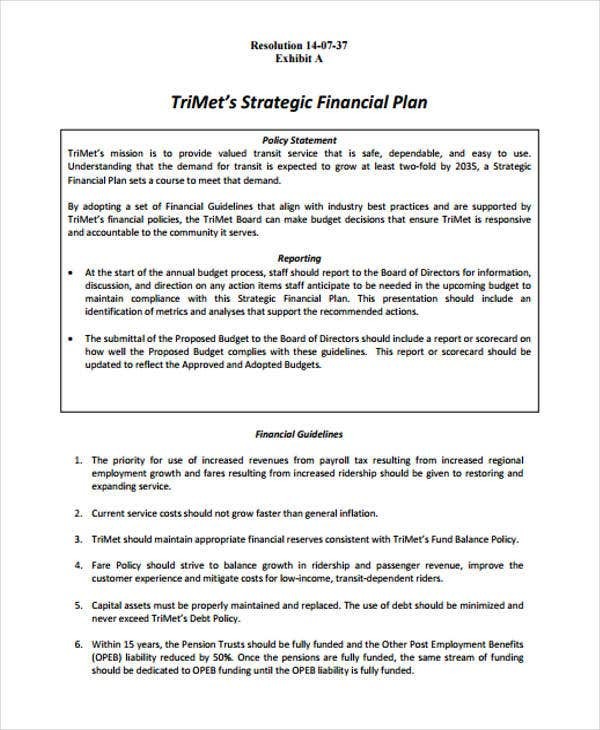 This is formal document or statement intended for business objectives, why they are obtainable, and any possible plans for reaching them. 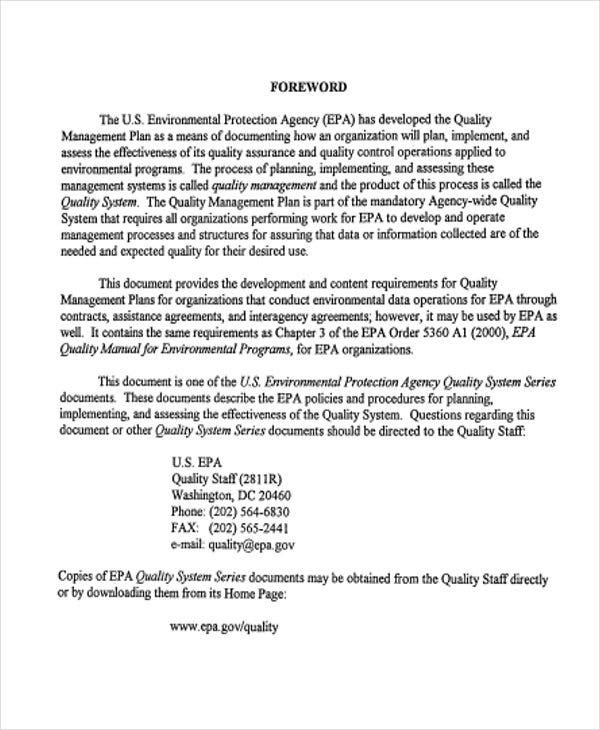 This also contains background information regarding the organization pursuing those objectives. 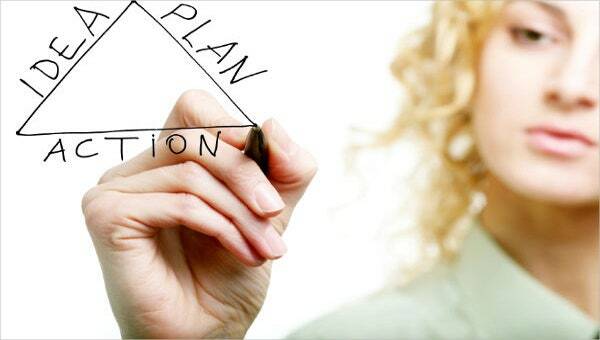 A business plan may aim changes in concept and branding by the client, taxpayer, consumer, or by the whole community. 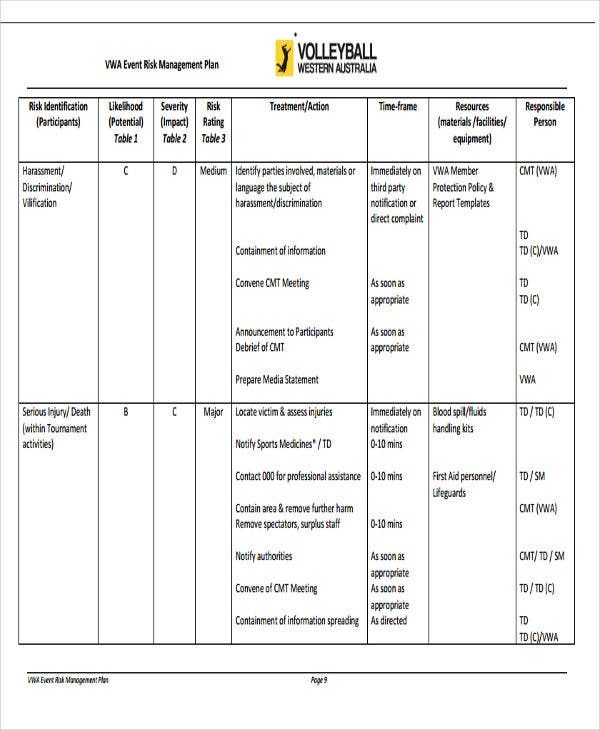 This is a type of plan that takes into account all related and relevant aspects of building construction, building work, or demolition. 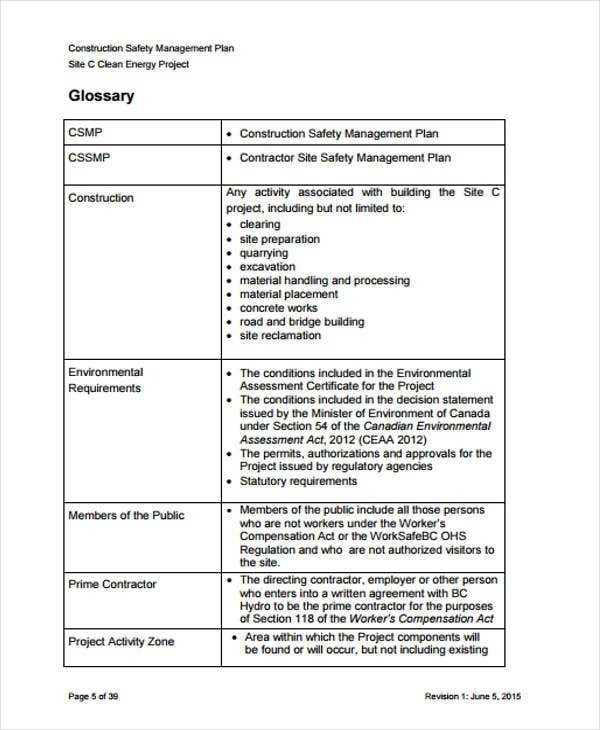 A construction management plan address in detail a range of safety, health, management process of traffic and facility issues that is related to the site construction and community surrounding. 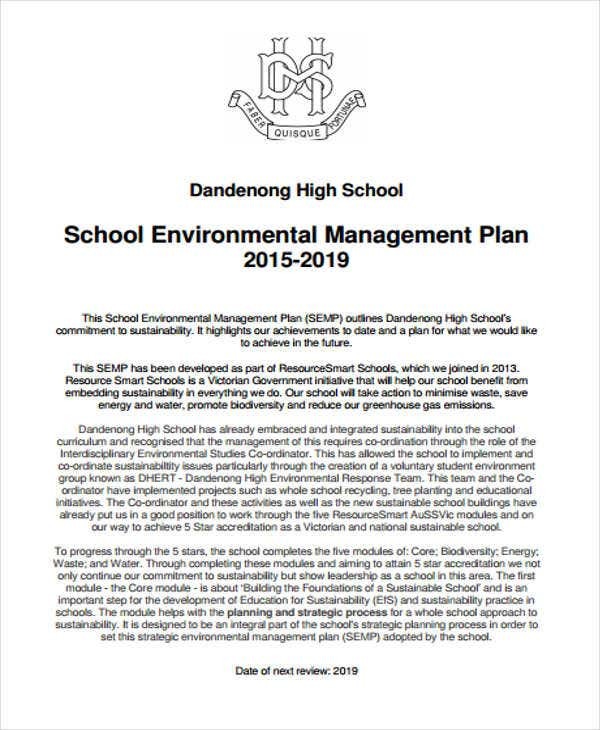 Also, it undertakes wider obligations such as recycling, environmental actions, and management of waste. 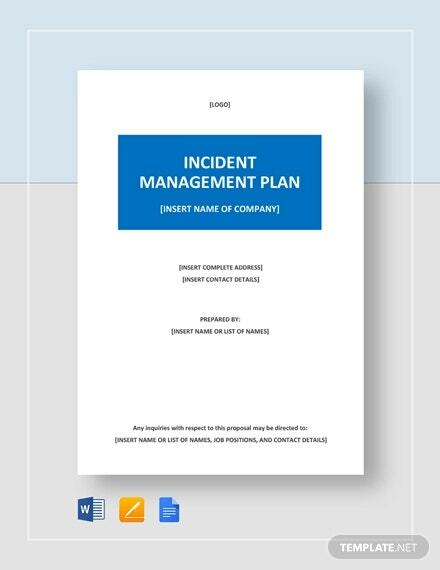 This is a type of plan in which a course of actions are enhanced to diminish the damage of occurrences that could possibly threaten an organization’s capacity to do tasks and function comprehensively. 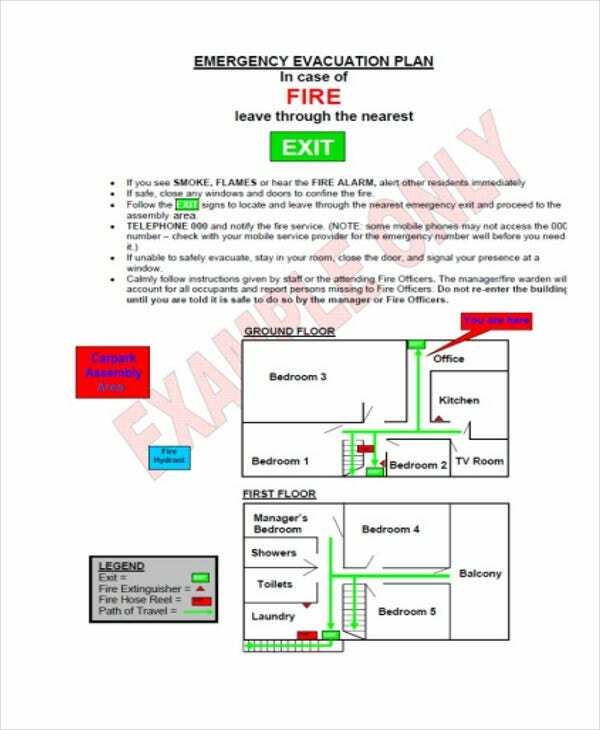 The very first step when managing an emergency management plan is to conduct a risk assessment, this is to identify possible emergency rundowns. 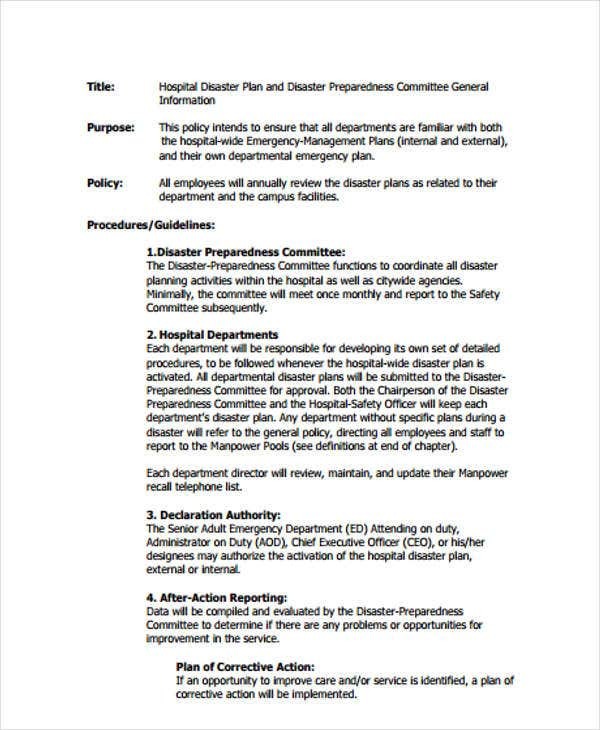 An emergency management plan should be logical and constant with your performance goals. 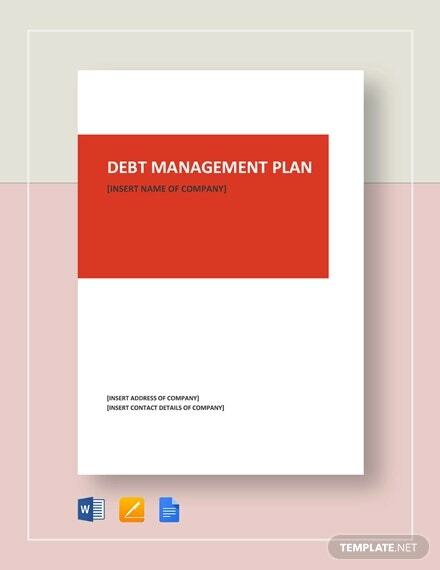 Each of these management plan has their own vital details that one should know and understand when it comes to making an actual document plan. 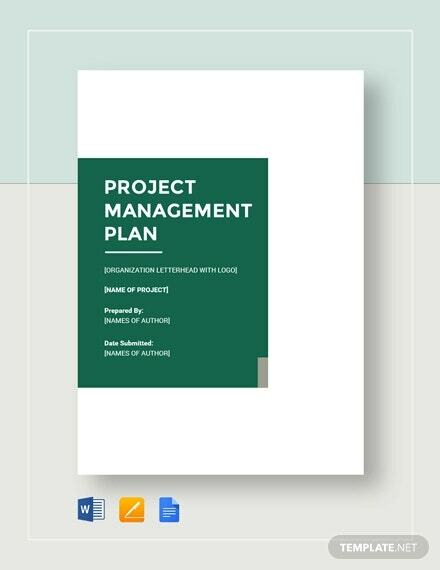 To give you more samples, you might want to take a look of our project management plan template samples for your reference. 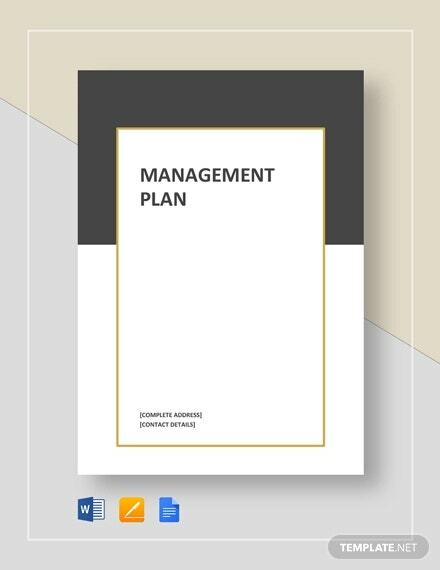 A management plan explains and interprets how certain organization or business is managed. It includes the information such as who manages the team, their responsibilities, and rules and procedures. This is then followed during the course of operations. When it comes to writing a management plan, it allows you to delineate your management structure. 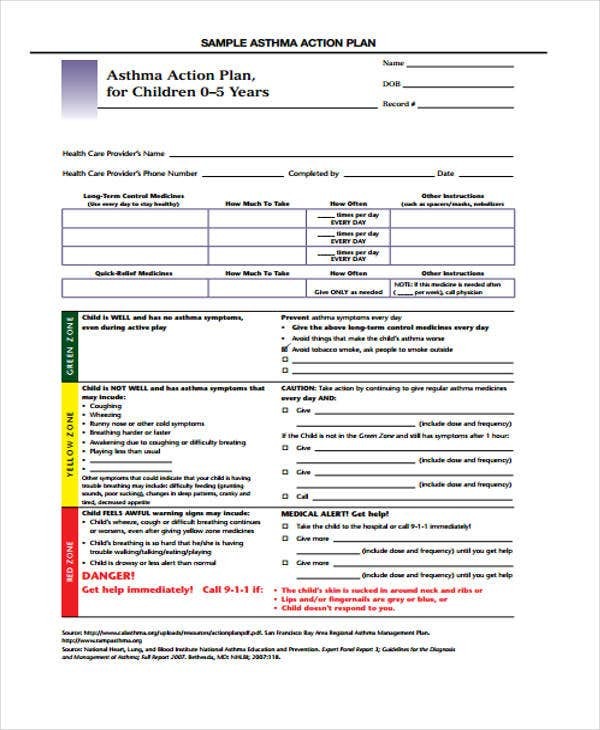 Writing it in a clear and systematized manner, just like how you make an action plan template, you can make certain that everyone is on the same page and that your objectives will be carried out. You should determine the urgency for a management plan. This type of plan serves the main purpose of formalizing the process and rules vital to your team and the responsibilities and the control of everyone involved. 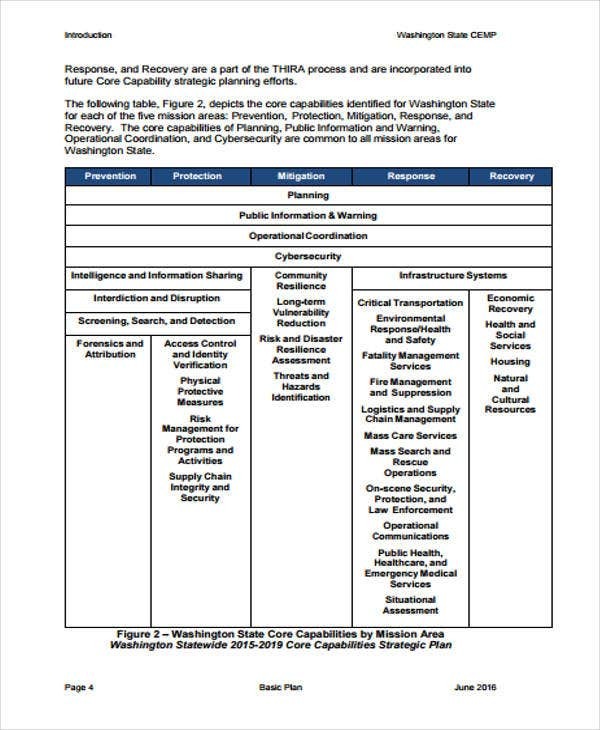 If there is no plan, there is a huge possibility that your operations might be inconsistent, possible unclear duties, and if there will be events, the team may be unprepared. 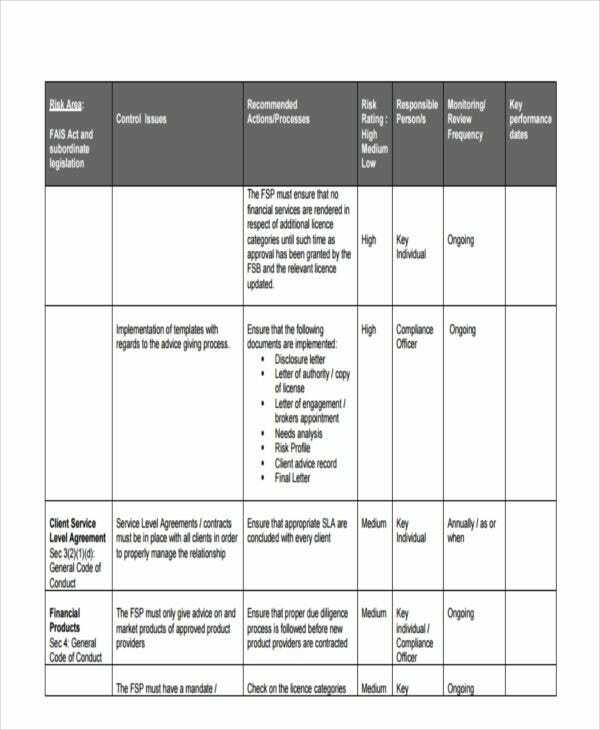 A management plan gives everyone in the team the opportunity to clearly see their place and this includes who they’ll report to, who’ll report to them, and the duties of their role or position. By determining roles, it creates responsibility by making an emphasis who’s fault it was that something did or didn’t happen. 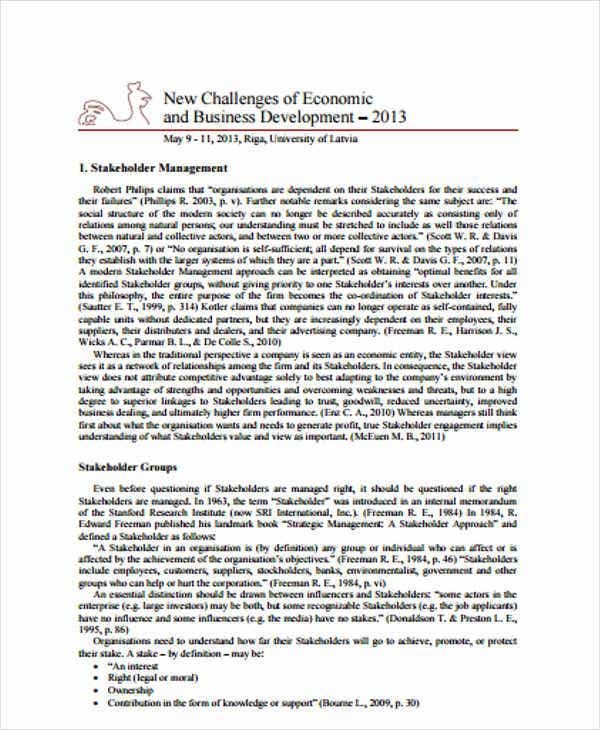 A section analyzing management members and their duties and authorities. A definition of management structure. A chart of section analyzing interactions between and duties of each level of the team. An area describing several aspects of your team being managed, this should include the protocols and procedures of that management. 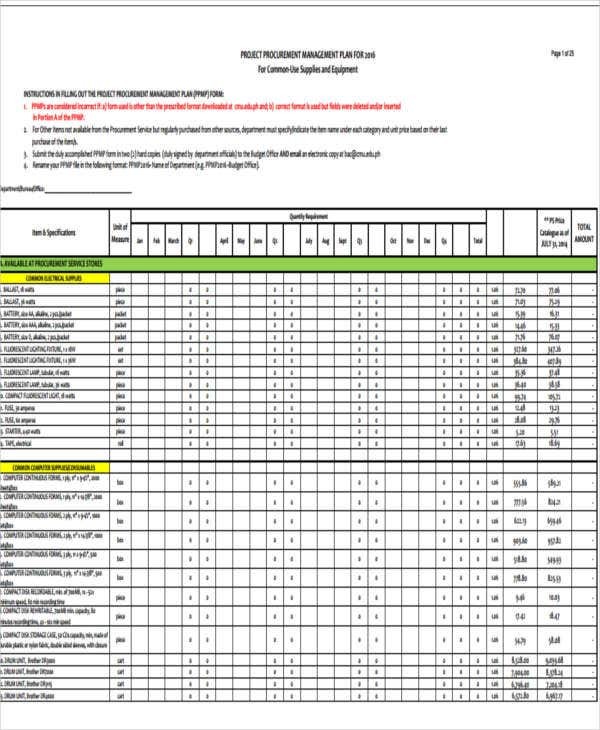 An organized schedule for updating and enhancing management and the management plan. 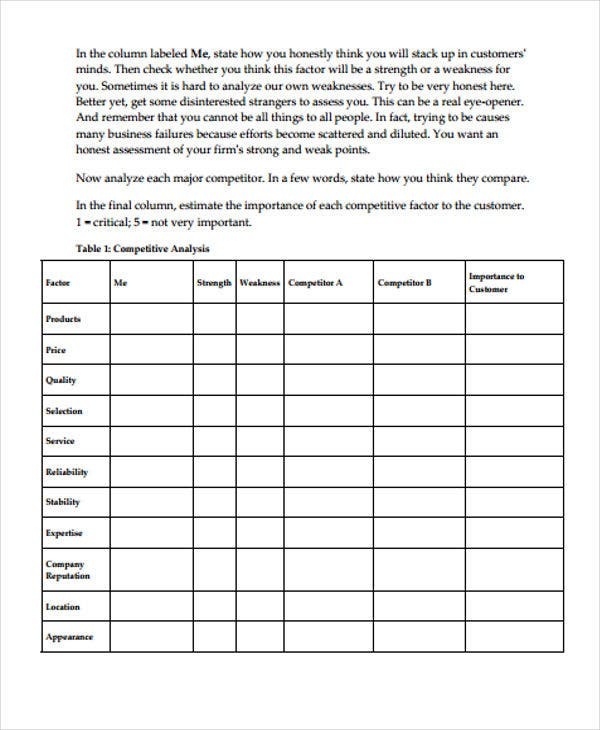 Make a description of your management structure. 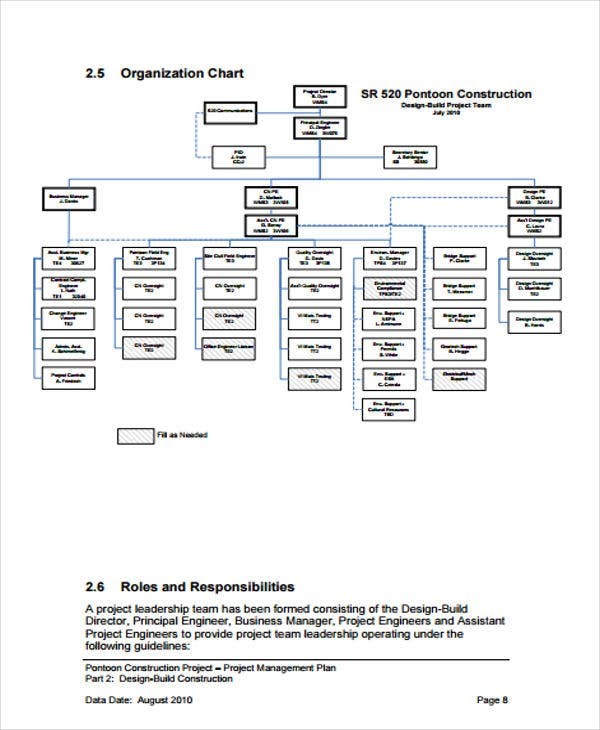 At the beginning of your plan, state clearly or outline your management structure with diagrams. Determine who holds the final decisions. You can also include external and internal consultants. Name the members of your board. If you have a board in your business, you should clearly identify its members. Summarized their leadership skills and abilities, prior experiences, and strengths. If you don’t have a board, just disregard this section. Assemble a group of relevant management members, as well as employees. This will give the employees a sense of ownership in the plan, taking information and imparting details with the group. Determine if the policies suit in with your culture and belief. The policies as well as the procedures should be designed in line with your encompassing beliefs and objectives in mind. Inspect over each one that you’ve created, this is to make sure that all are working together towards similar end point. 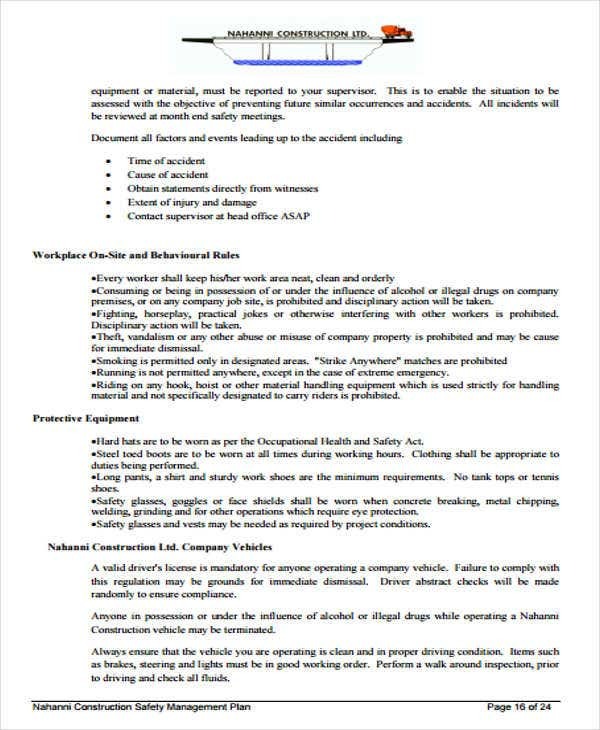 For each aspect of the business, write out policies and procedures. The policies, and rules of your team are designed to further your goals and keep your operations real and true. 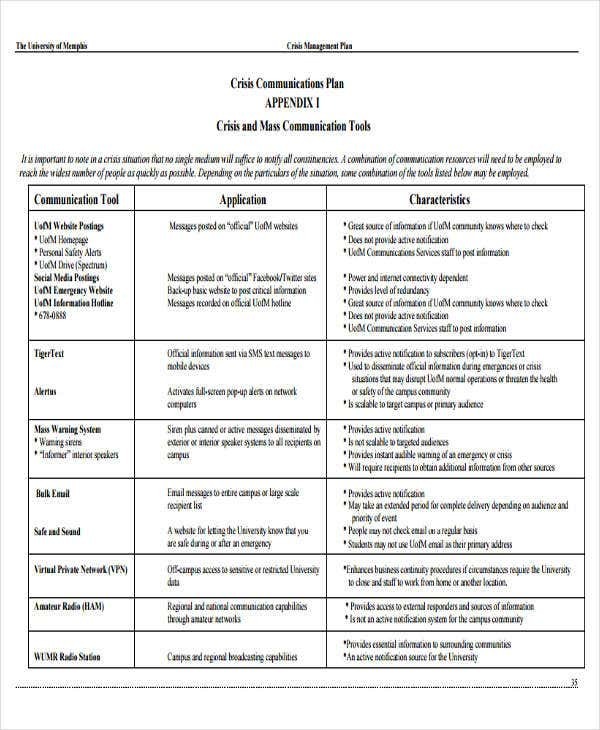 Additionally, these policies are shown and expressed via procedures, in which specific methods are taken to determine how things are intended to be done. You need to format your plan for clarity. 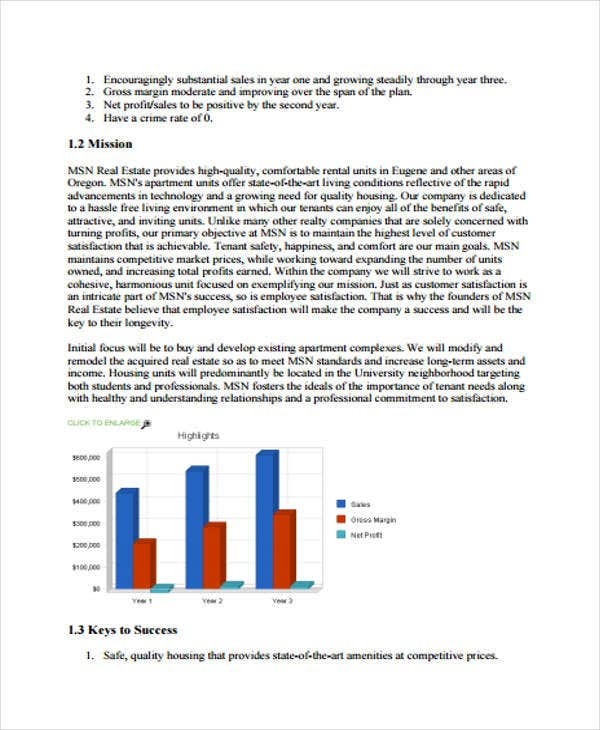 The formatting of the management plan should be similar as the rest of your business proposal. You have the option to select major sections using a bold headings. Make sure the font is readable. 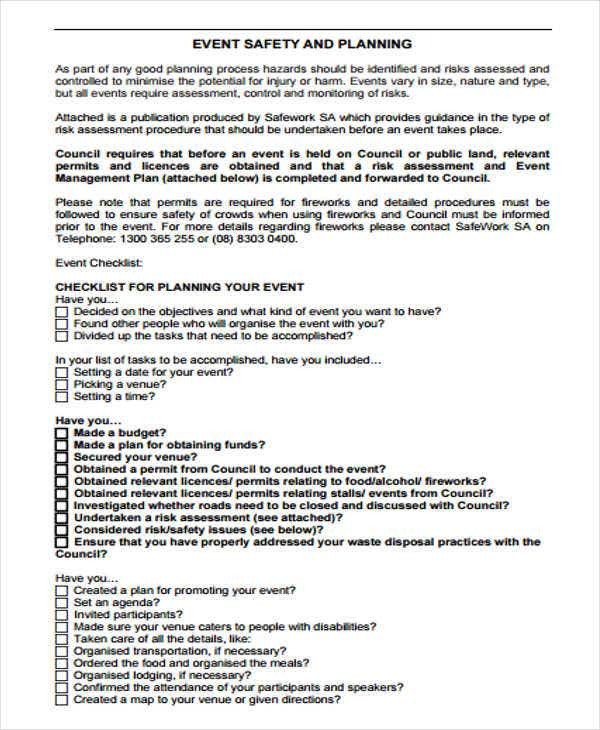 You may want to make use of bullet points for list of experience and duties. Always proofread your work once done. If you want your management plan to have a professional appeal, make it grammatical free and zero spelling errors. 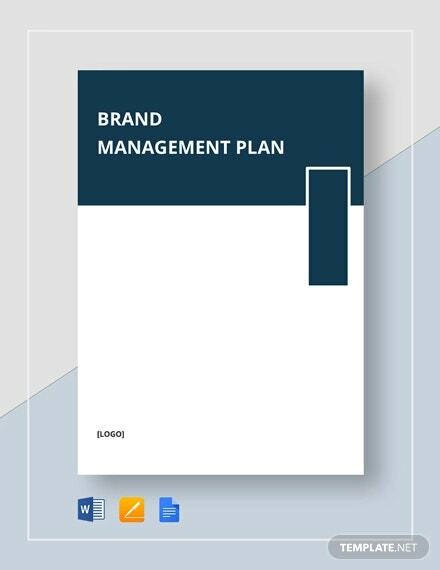 Moreover, your management plan should be printed on a white paper that is not wrinkled and should be even and in order. 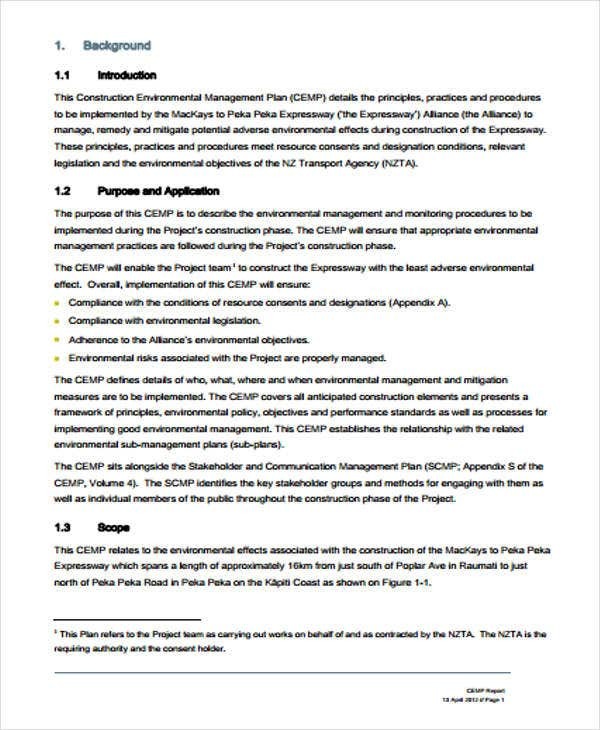 If you find these steps a bit bickering, you can always download our management plan templates for convenience. 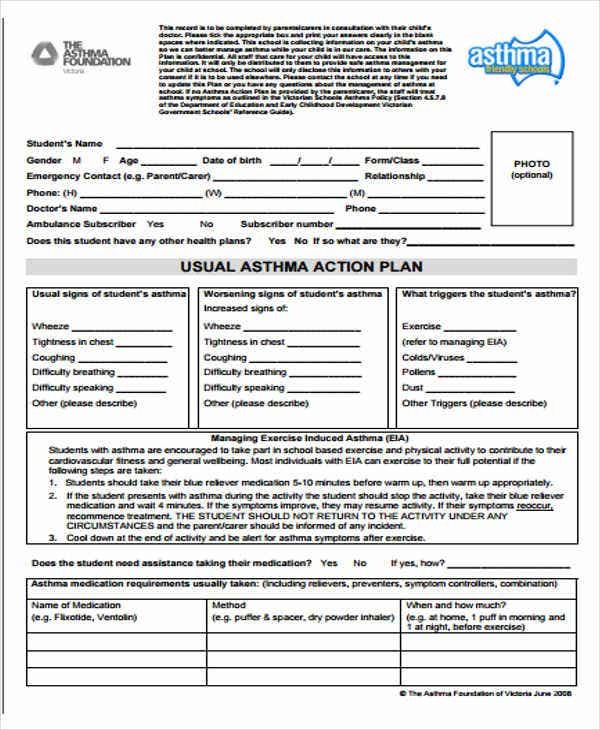 Same goes if you need a strategic plan template, since this template is pre-created similar with the rest of our template samples. 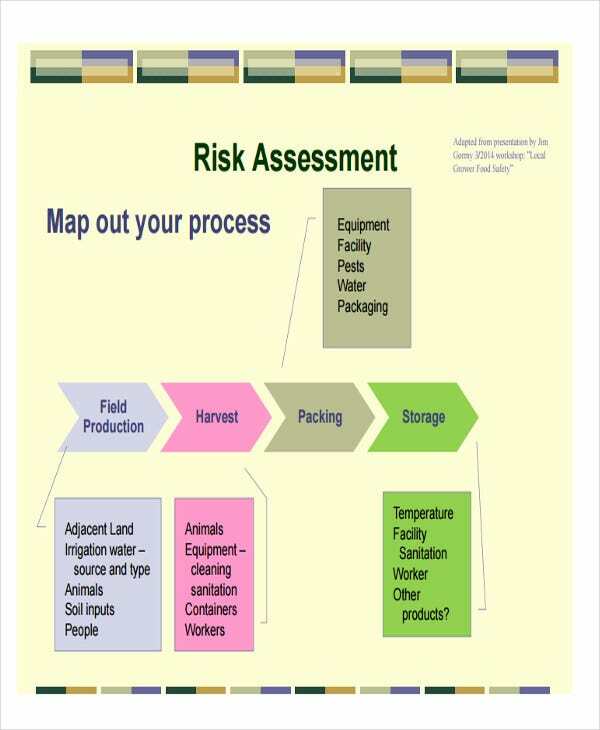 A management plan refers to planning and managing the tasks essential to achieve a goal. Below is a list of benefits of having a management plan. Direction – During the planning process, a management plan can bring a sense of direction towards the team or organization and its members. Responsibility – The team benefits because one member holds responsibility for each task and can be held accountable. If an employee realizes he gets the rewards and the consequences of not completing his task, this will give him a sense of responsibility on fulfilling his requirement. Enough Resources – There are a lot of projects that run out of resources before completion. These resources include both labor and finances. A management plan is required in order for the team to put into consideration what are the resources needed to finish the project and omit the chance of discontinuing the task due to lack of resources. Anticipation of a Problem – Several tasks, projects, or plans experience problems at different times right before the task is completed. And this involved in losing employees, missing deadlines or running out of funds. With a management plan, the team can proactively address problems, decreasing an impact towards the project or task. Mastery of an Employee – After employees plan their assignments or tasks, they will then have a time enhancing their skills to complete their tasks. This is beneficial for the company for a growing knowledge base of its employees. 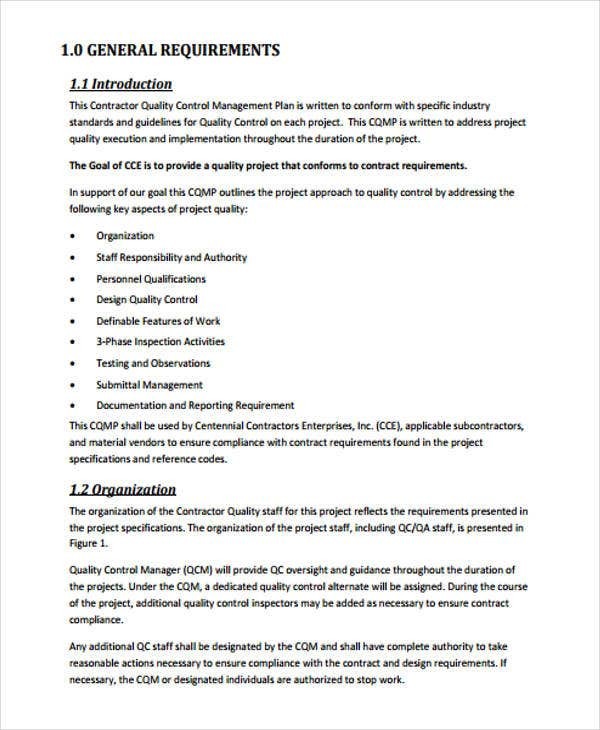 Dependability – Certain companies base decisions on the knowledge that a specific task or project will be completed before the due time or on time. Management teams who spend time creating a management plan can reliably foresee what it will cost in time or money to complete. Completion of Projects – There are projects that get started and never finish. Without a management plan, team members tend to go after their own ideas and forget about the project. 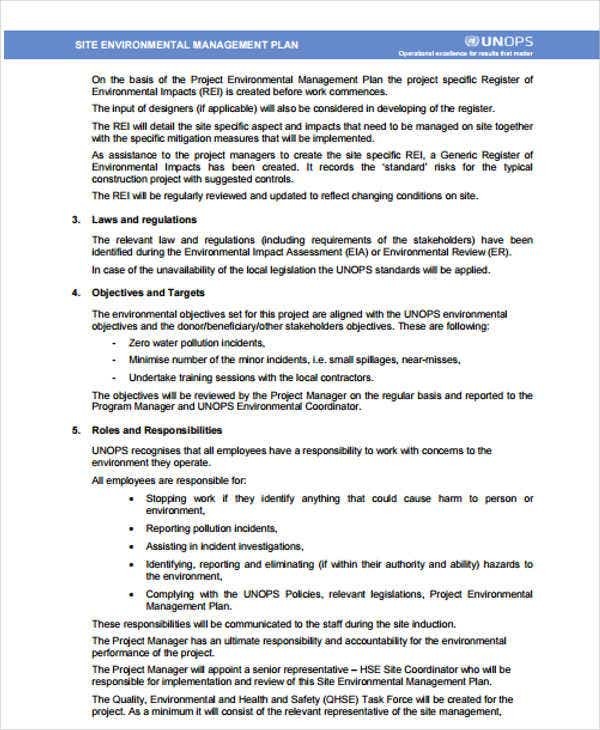 A management plan ensures that the team and its members know their role and that the project will be completed on or before the deadline. When it comes to proper management plan making, it is essential that you know and understand what are the important things you need to include. With these examples that we offer, we guarantee a professional and well-written management plan. 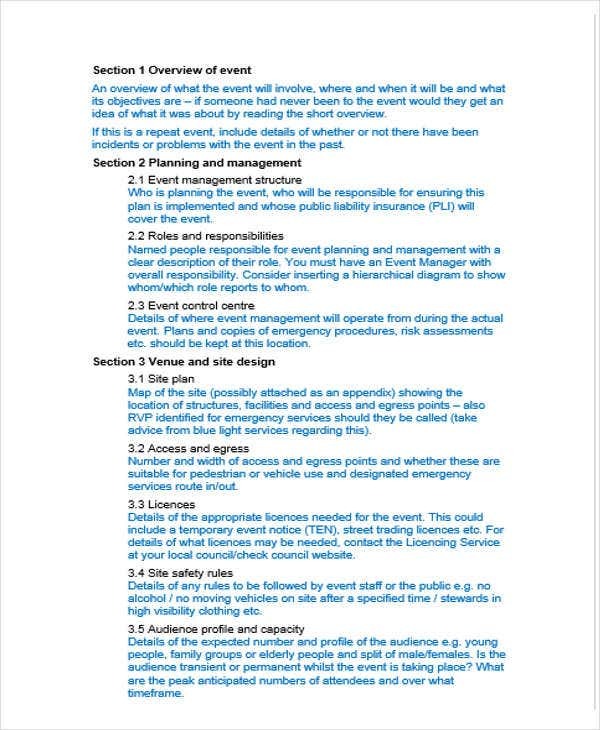 Here are some management plan examples that we have that you can make use of as a reference. 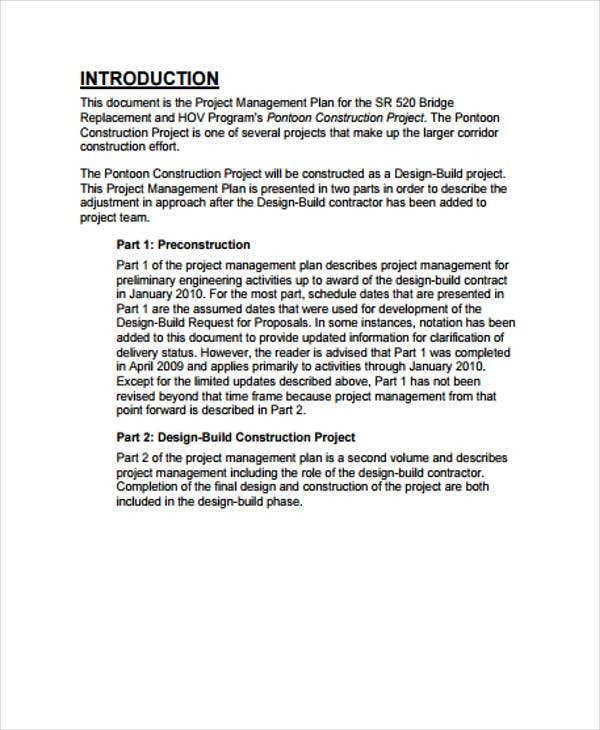 Risk Management Plan Example – this is an example of a risk management plan document. 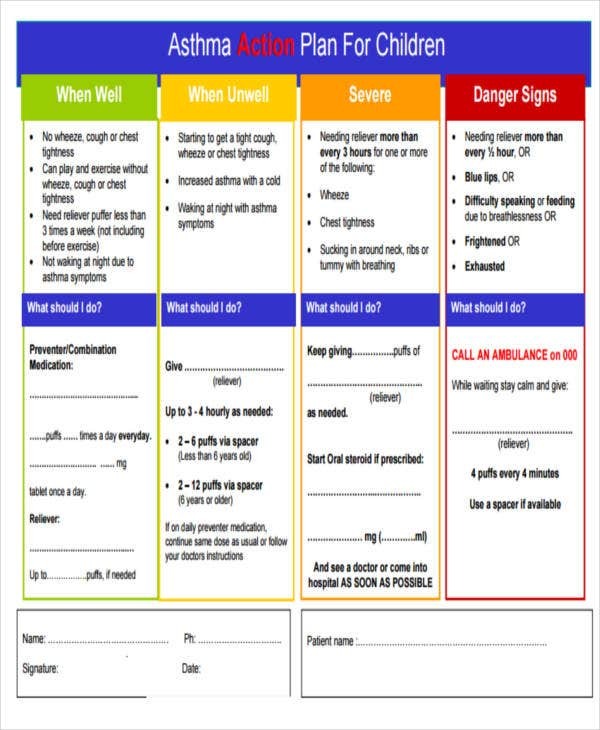 If you are planning to make one, you can refer to this example. 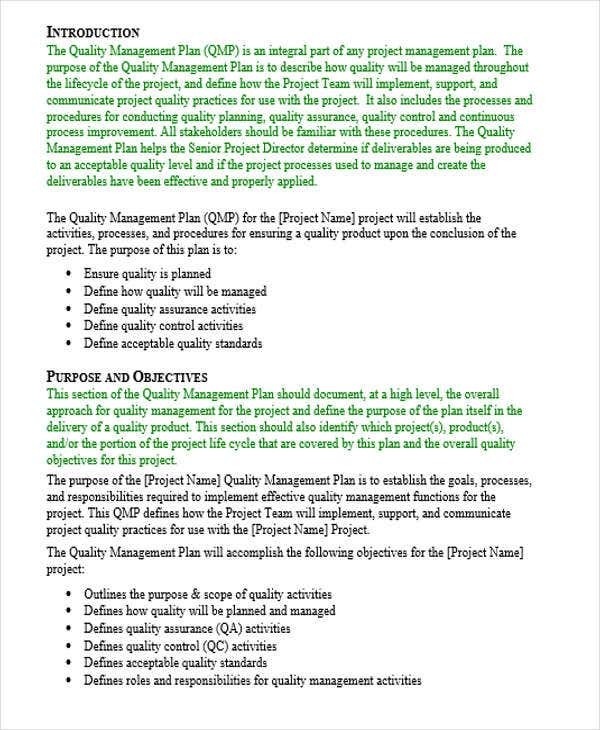 Project Management Plan Example – if you’re making a management plan that focuses on project and task planning, this project management plan example is what you need. 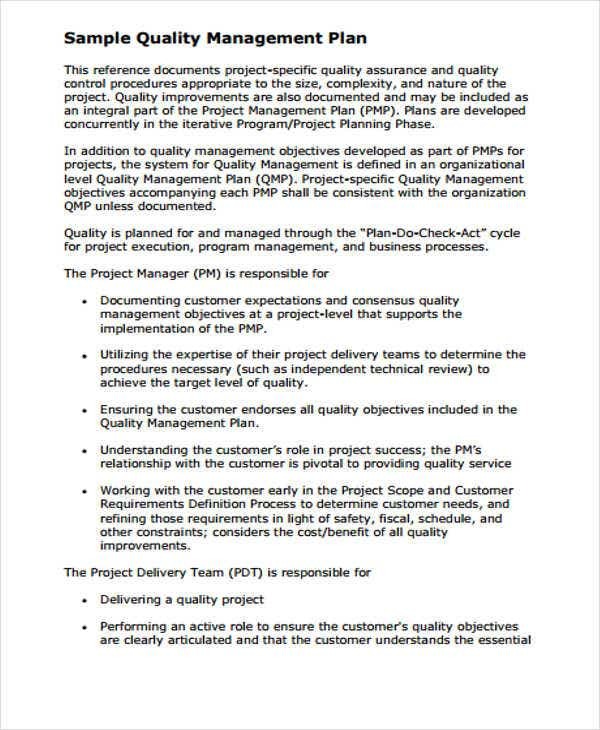 Quality Management Plan Example – this is the plan you use if you are making a management plan that explains the level of quality that is acceptable by customers and the level of quality in its work process. 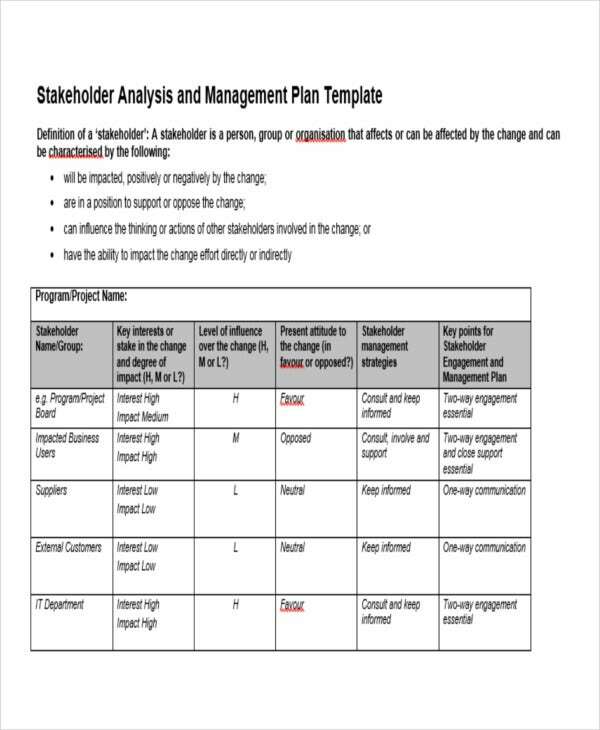 Stakeholder Management Plan Example – if you’re making a management plan intended for shareholders, then this example is what you need. These are just some of the templates that we offer on this page. There are still several selections to choose from. So for a cohesive and professional management plan, Template.net is your go-to.